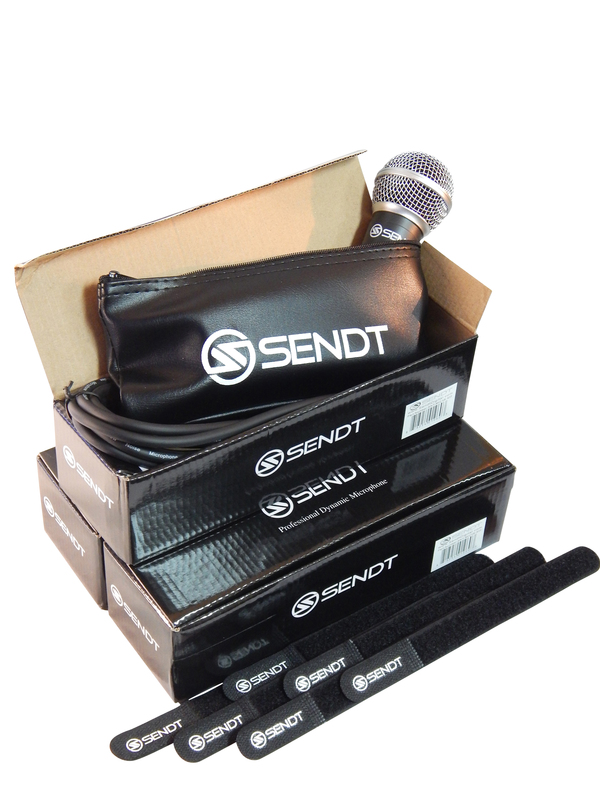 - Includes: (3) Sendt SVM80 mics, (3) Sendt 10-foot XLR cables, (3) Sendt mic cases and (6) Sendt Velcro cable straps. - High gain, a full mid-range and sparkling highs help vocals and instruments cut through the mix with warmth and clarity. - Uni-directional cardioid pickup and spherical wind-screen reduce background noise, feedback and distortion caused by wind and other effects. 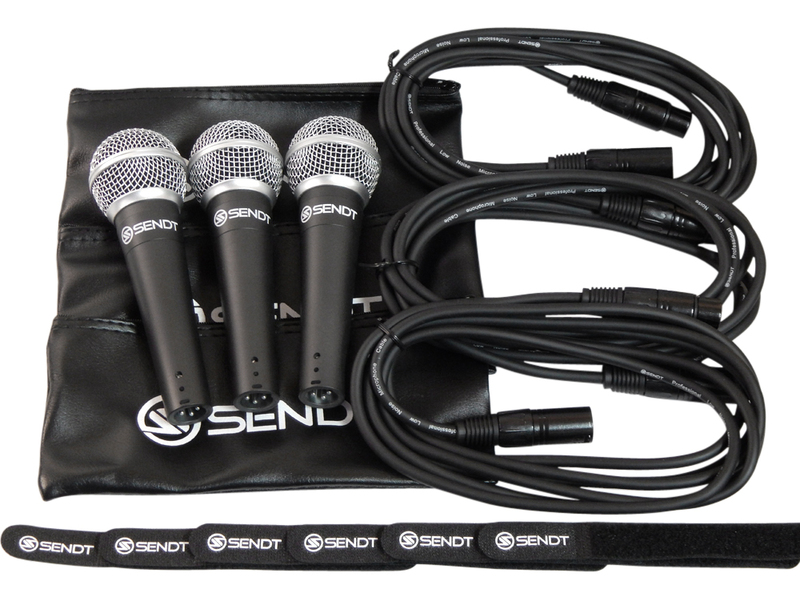 - Allows for dynamic response, isolated to the sound source directly in front of the mic. - Rugged all-metal housing protects shock-mounted components.